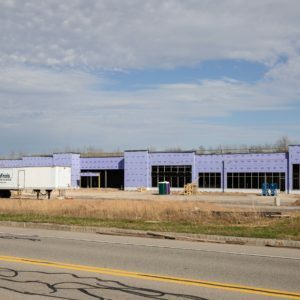 Are you researching how to go about building a new commercial construction or remodeling an existing one in the Rochester area? Hiring a commercial building contractor makes more sense than trying to manage a new build or remodel yourself. You won’t have to obtain all the appropriate building permits and licenses yourself, which can be difficult to do if you don’t have experience with the process. You also won’t be responsible for overseeing regulations and building codes or making sure the building crew follows correct protocol, which can be difficult if you don’t have prior knowledge or experience in the development industry. Your time as a business owner is usually much better spent marketing your new business (or new location, as the case may be) and other top-level business objectives. Hiring a building contractor enables you to focus on creating, maintaining, or growing your business, all with peace of mind that your construction project is progressing according to plan. Thanks to the internet, you won’t have a hard time finding commercial building contractors, but finding a professional that best fits your needs might be slightly more challenging. What Qualifies a Commercial Building Contractor as a Professional? Although there are many building contractors in the Rochester area, not all are suited for every building project. You need a contractor who is the best fit for your specifications. First ask yourself, What am I trying to build? Are you sure you know what you’re looking for? A commercial building contractor is simply a general contractor who specializes in commercial builds (or remodels), such as schools, libraries, municipalities, office space, restaurants, retail, and anything else that’s B2B. A professional builder is licensed as a commercial contractor. Almost all commercial construction work requires a certified building contractor to obtain the proper licensing, which you can get only through a proven skillset. Local authorities typically require a certification of occupancy before they will hand over the building permit for your new business. An experienced building contractor can help you through the whole process, since he’s done it many times. Next, a professional builder also carries insurance (and in some cases, is bonded). You can look up the contractor directly with the insurance carrier if you’re ever in doubt. Be sure to compare coverages with several contractors before you make your final selection, as they can vary widely. You can expect a professional building contractor to take over all project managing responsibilities concerning your build, including designing blueprints, acquiring the correct permits (local, state, and federal), purchasing the building materials and supplies, making sure the construction crew adheres to all building codes, and abiding by zoning regulations. As you look for a profession building contractor, ask questions to make sure the crew is on board with doing everything the right way, according to all regulations and legislature. You don’t want anyone who is willing to cut corners. Last but not least, a professional building contractor knows how to communicate. You should reasonably expect a consistent update on your building project, whether that be weekly, monthly, or even daily. It’s not uncommon for unforeseen roadblocks to come along the way, so it’s important your contractor communicates with you so you can work together and find a healthy solution. You don’t want a contractor who hides information from you or leaves you in the dark about the status of your project. How Do Construction Bids Work? During your research, you may have stumbled across “bids.” How do they work? Generally, a building contractor will review your goals for your project, and then create several “bids” which are essentially quotes with varying budgets. You can select a plan, or “bid,” based on price, which is usually dependent on the quality of materials used, time from the construction crew, location, and other project-specific details. Make sure you review each bid in detail. Although budget can be a significant factor, make sure the plan includes everything you require for your building. We recommend starting the search for a professional commercial building contractor as early as possible so you have plenty of time to compare bids, research insurance coverages, and confirm licenses and building permits. Your specific building project will greatly influence which contractor you choose. If you have any questions or want to get started on your building project right away, feel free to contact us. We’d be happy to help you in your search and discuss feasibility, potential business return, and if Lefrois Builders & Developers is the best fit for your next construction project.